Contact us if you’d like to learn more about any of these opportunities. Financial sponsors and caretakers will be recognized with a sign on site. 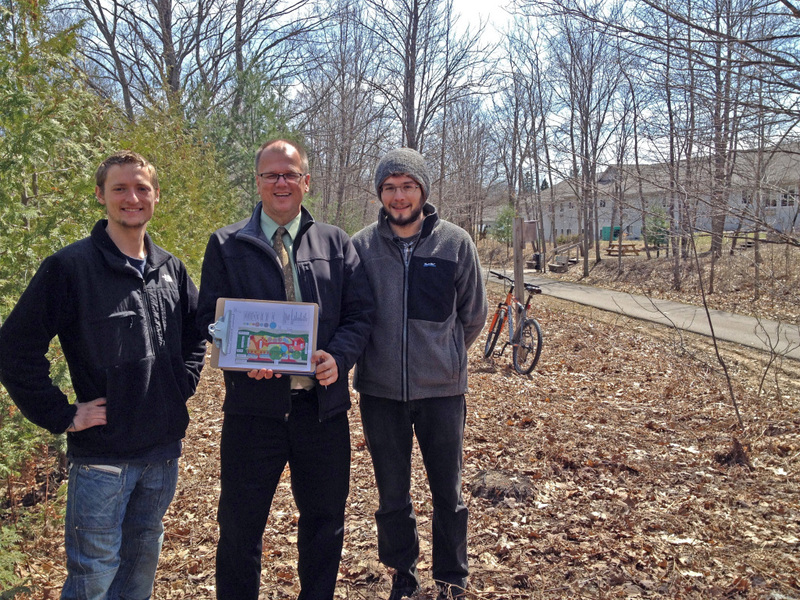 Craig Weckler of Rotary Sunrise Club of Traverse City celebrates the group’s donation for Cedar Creek Food Forest with Levi and Jonathan of the Edible Trails Project. Financial sponsors: We are connecting businesses and philanthropists to garden sites to cover ongoing material and labor costs. This provides a direct outlet for local giving as well as a great opportunity for community recognition. Contact Us now if you’d like to learn more. 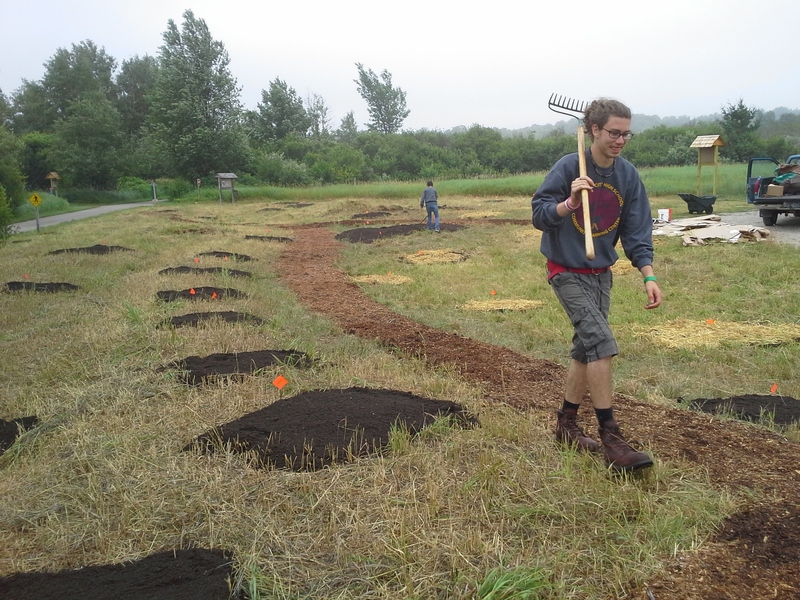 Caretakers: We are seeking volunteer groups to maintain the food forests. Church groups, classrooms, offices, or individuals will receive detailed guidance. Landscapers and farmers can showcase their work independently within some parameters. Volunteer: Join our volunteer crew and help out when you can. Add your email address to the box on the right to receive notices when we have upcoming volunteer day events. Donate: The more support we receive, the more gardens we can plant! Just click the Donate button in the upper left corner of your screen. Let us know where else you’d like a forest garden! The TC High YouthCorps Crew volunteered to help install our first two forest gardens at Cedar Lake and Cedar Creek.